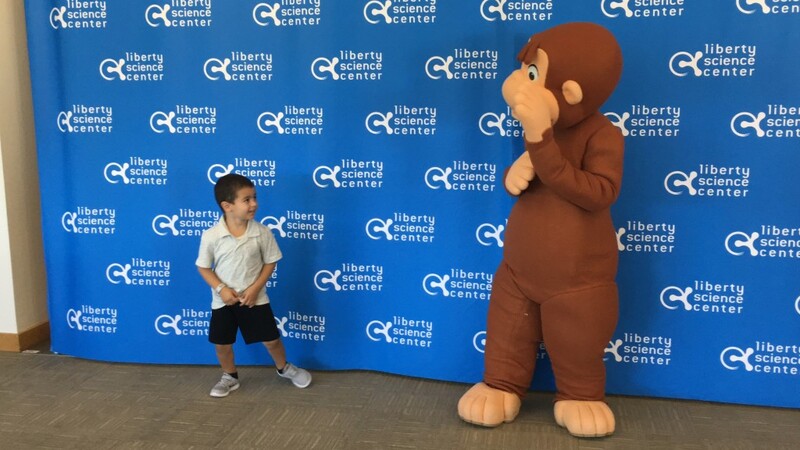 Curious George: Let’s Get Curious Exhibit at the Liberty Science Center + FAMILY PASS GIVEAWAY! 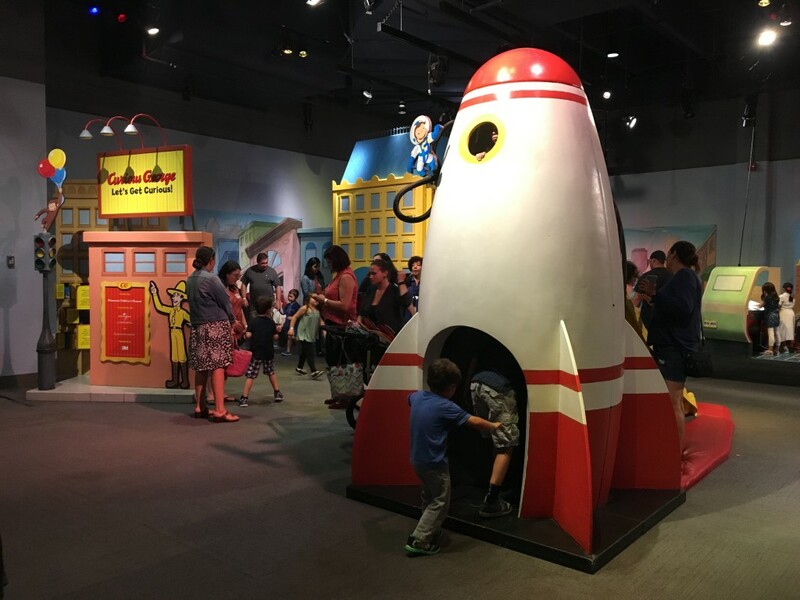 You are here: Home › Fun › Curious George: Let’s Get Curious Exhibit at the Liberty Science Center + FAMILY PASS GIVEAWAY! *As a Liberty Science Center Blog Ambassador for the day, I was provided vouchers for the visit. This post was written by Mommy2Phoenix, Luna is a creative stay at home mom of two who loves connecting with people thru her YouTube videos and blog! 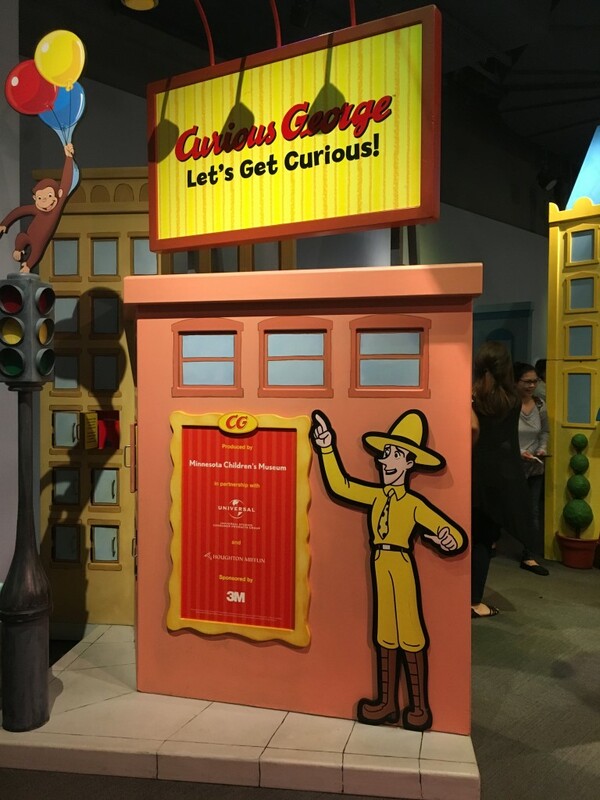 Curious George is a very curious little monkey and so are most kids.That is why we where very excited to be invited to the Curious George: Let’s Get Curious! exhibit at the Liberty Science Center. 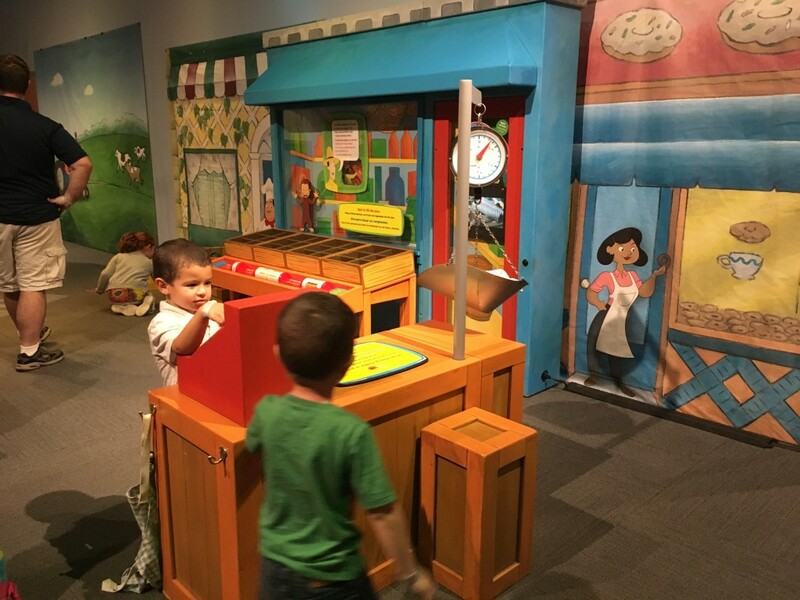 This exhibit was made for kids to explore there curiosity surrounded by familier buildings and locales from the book and television show. 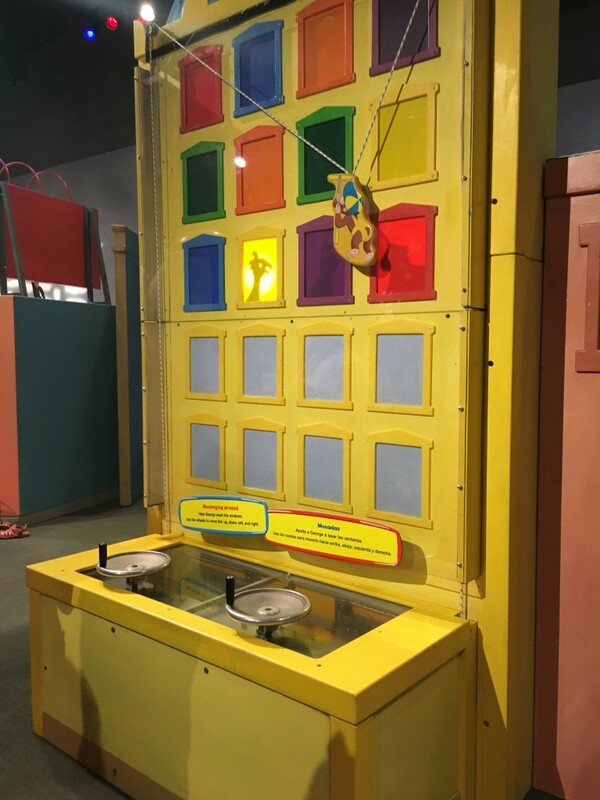 Thru out the exhibit you will fine they use fun ways to include science, math and engineering. Operate wheels and pulleys to move Curious George in the Apartment building. 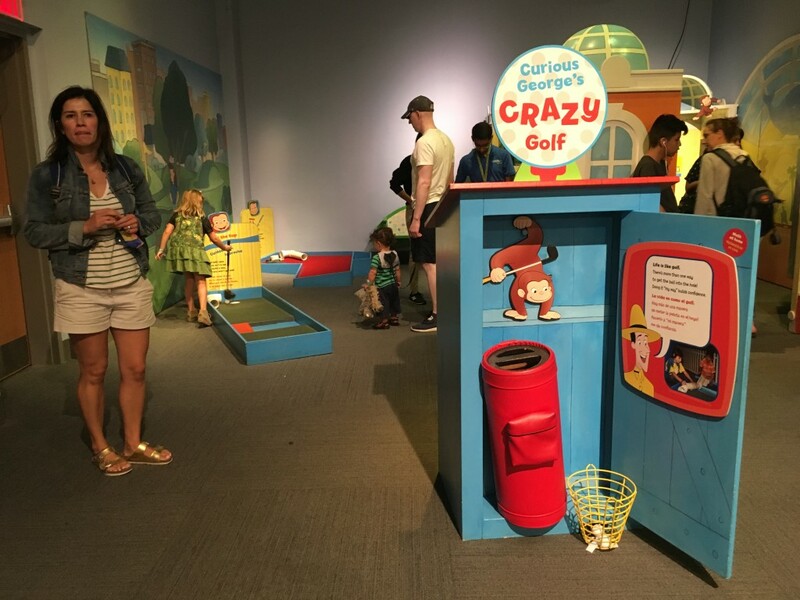 Play Mini Golf and putt your way thru pipes, ramps, and funnels. Jump aboard the Space Rocket and pose for a picture then slide down. Hug and take pictures with a full size Curious George in the City Park and babies and toddlers can enjoy the busy wall activities. 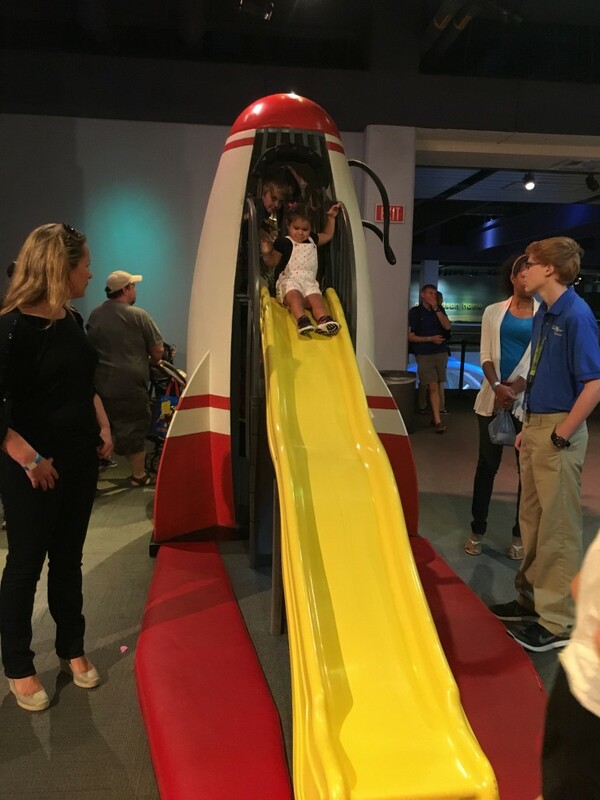 My kids favorite part of the exhibit was the Space Rocket. They loved climbing up and looking at me thru the hole so i could take there picture before they took the slide down into all the fun of the exhibit. This was our first time visiting the Liberty science center and the kids had so much fun in and out of the Exhibit. They have so many fun things to offer and making a day out of it is something kids will love. Learning thru fun is always a win win for both parents and children. ONE LUCKY WINNER WILL WIN OUR GIVEAWAY OF 4 TICKETS TO SEE THE EXHIBIT AT THE LIBERTY SCIENCE CENTER! You can enter below through Rafflecopter or click here.